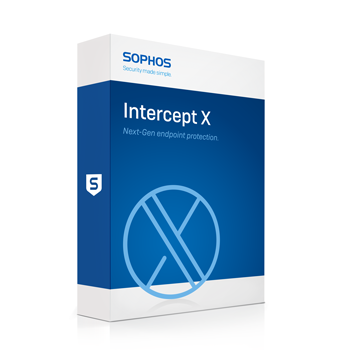 Sophos Intercept X Advanced with EDR integrates intelligent endpoint detection and response (EDR) with the industry's top-rated malware detection, top-rated exploit protection, and other unmatched endpoint protection features. Malware expertise: Most organization rely on malware experts that specialize in reverse engineering to analyze suspicious files. Not only is this approach time consuming and difficult to achieve, but it assumes a level of cybersecurity sophistication which most organizations don't possess. Intercept X Advanced with EDR offers a better approach by leveraging Deep Learning Malware Analysis which automatically analyzes malware in extreme detail, breaking down file attributes and code and comparing them to millions of other files. Analysts can easily see which attributes and code segments are similar to "known-good" and "known bad" files so they can determine if a file should be blocked or allowed. To stop the widest range of threats, Intercept X Advanced with EDR employs a comprehensive defense-in-depth approach to endpoint protection rather than simply relying on one primary security technique. This is the "the power of the plus" - a combination of leading foundational and modern techniques. Intercept X Advanced with EDR integrates the industry's top-rated malware detection, toprated exploit protection, and intelligent endpoint detection and response (EDR). With Intercept X Advanced with EDR organizations can now understand the scope and impact of security incidents, detect attacks that may have gone unnoticed, analyze files to determine if they are a threat, and confidently report on their organization's security posture at any given moment.